For a very long time, Skype was the undisputed leader among video and voice calling apps. The popularity of the app can be understood from the fact that ‘Skyping’ became an actual term for making an internet-based call on Skype. But now the app is riddled with several issues like low-quality calls, frequent crashes, excessive consumption of memory, ads, etc. 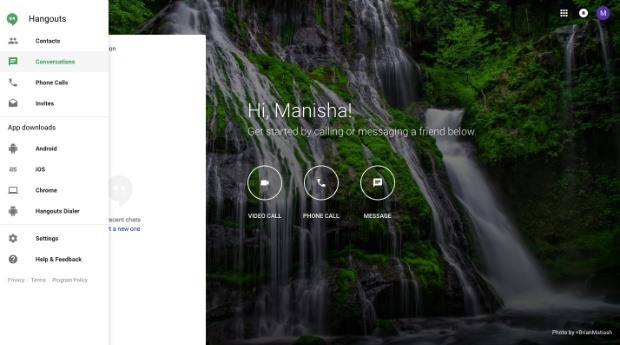 Now, many apps offer features similar to Skype and provide a better calling experience. They come with their own unique features as well. Many of them are used for connecting with friends and family while others are used for business purposes. I have listed them based on your needs, so feel free to pick any app that suits your needs. 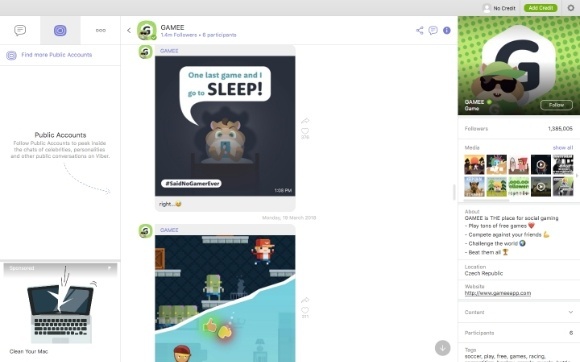 Viber is one of the oldest competitors to Skype, and it still works pretty well. You can make calls and chat with other Viber users for free. It actually uses less bandwidth than Skype and consumes about 250kb per minute of voice calls. Besides, you can also use it to send pictures, audio and video files. The best part is that you can make international calls to Viber users free of cost. You can also call those people who don’t have an internet connection or just a non-Viber user at a low cost. If you make frequent international calls, buying Viber credits can make it easy on your pockets! Hangouts is seen as just another messaging app that has lost a lot of users to Google Duo owing its simpler video calling features. However, when it comes to making group calls, Google Hangouts is the winner. 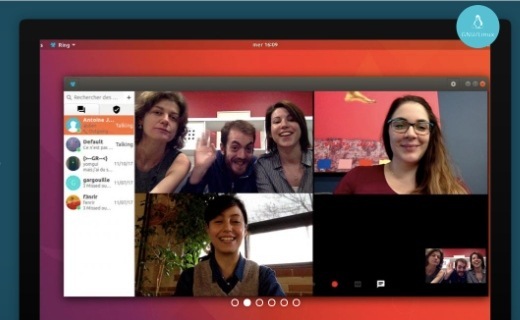 It lets you make group calls up to 10 people at once. The best part is that you can call online from the desktop without downloading any app. But you will have to install one for using it on mobile. For making calls, you can either use a number or email address to maintain a certain level of anonymity. 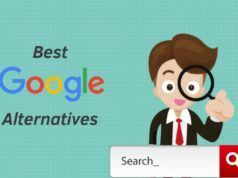 Since Google is known for providing a seamless experience, the same can be expected from Hangouts. You can stay in sync across your devices and continue your chats and calls wherever you like. Besides, you can always use it for chatting and sharing photos, maps, emoji, stickers, and GIFs to make it more interesting. Signal is another cool app that lets you send texts, documents, pictures and make high-quality voice as well as video calls anywhere in the world for free. It is an open source project that comes with no ads, no creepy tracking, and no affiliate marketers. 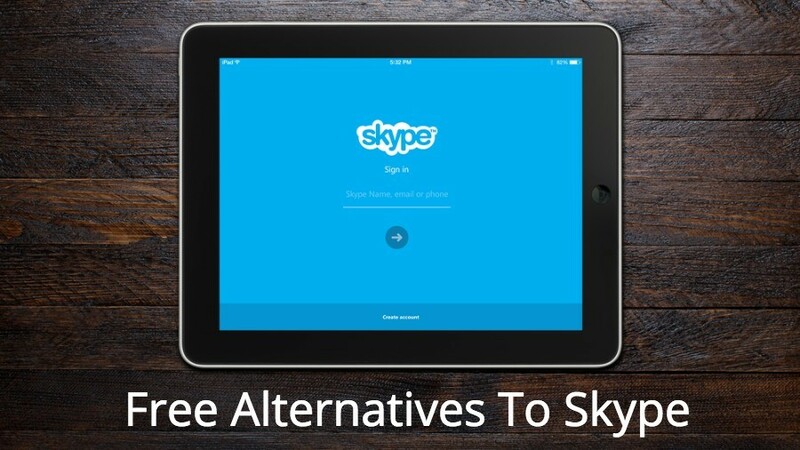 This Skype alternative is fast, simple, and secure. It has been endorsed by people like Edward Snowden and Bruce Schneier and the Electronic Frontier Foundation. 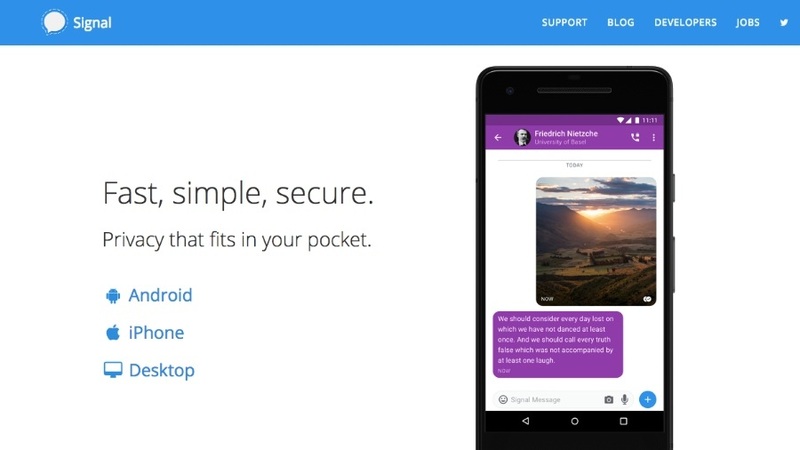 Signal makes your messaging experience better by keeping it secure through encryption. One remarkable feature is the chat clearing option that deletes your messages after a certain duration (customizable). Voca is one of the best free audio/video calling apps like Skype. Especially for those who make frequent international calls through VoIP. You can make free video calls and voice calls if the caller and receiver both have Voca installed on their phones. 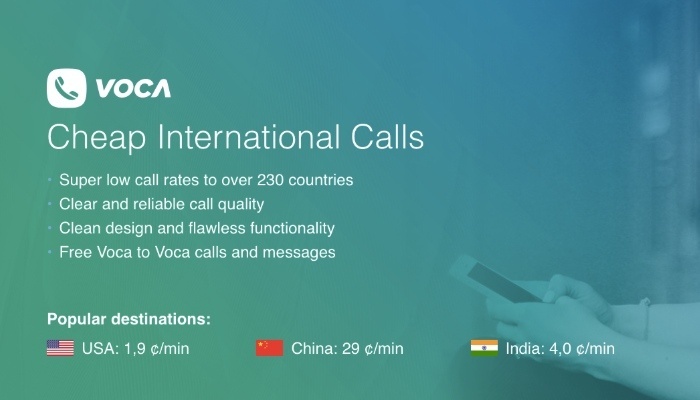 If that’s not the case, Voca offers cheap calling plans that can be used to make international calls on landline and mobile numbers of non-Voca users. The most remarkable features of this app include its clean interface, encrypted calls and all the perks of an instant messaging app. I don’t really have to say much about this one. It is an enormously popular messaging and calling app used by millions. The reason? Whatsapp is free, offers end-to-end encryption, and is available for desktop and all mobile platforms. It provides all the features that Skype does and lets you share videos, photos, and other attachments over personal or group chats. You can call up to 4 people at once, and it is a great app to stay connected to friends and family. The only biggest flaw of this app is that you need to keep your phone connected to the internet to keep yourself logged in to the web version — a pointless and unnecessary regime. 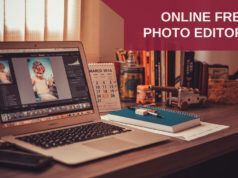 In case you are looking for best video calling services for desktop use only and you do not wish to get involved in any setup or installation, use the 3 services mentioned ahead. 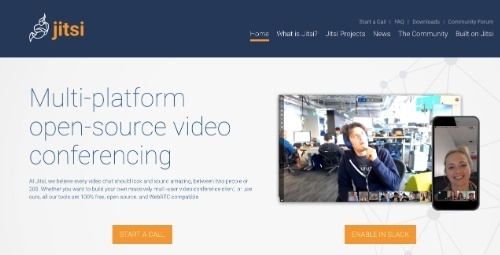 Jitsi is an open source alternative to Skype that is perfect for privacy-concerned users. You can run it directly from your browser and downloading it isn’t necessary. The best part about the app is that you don’t have to sign up for it. Just visit the site and make a call with a single click. 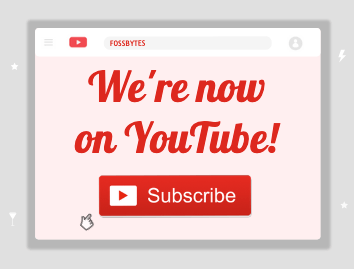 It generates a link that can be shared to invite other users to join the call. 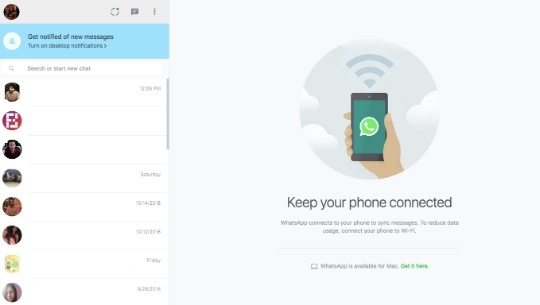 Besides calling features, Jitsi lets you share your screen, encrypt calls and even record them. To provide clear audio, it uses noise suppression and echo cancellation. This amazing Skype alternative is currently available for all platforms, and you can integrate apps like Slack to make conference calls for free. Those who are really concerned about privacy, Ring makes an excellent alternative to Skype. It’s an official GNU package that is licensed under GPLv3. Ring takes its commitment to security very seriously and offers a decentralized communication, peer-to-peer discovery, and connection. The calls are encrypted through end-to-end encryption and authentication using RSA/AES/DTLS/SRTP technologies. You can communicate through Ring ID (randomly generated string of 40 characters by the app) or over SIP. In fact, you can choose to run RingID and SIP in parallel and switch between the two protocols as per your requirements. However, the app requires you to register your RingID on the blockchain before you can make or receive calls or messages. If simplicity is what you seek in your calling app, Appear.in is the apt choice for you. Just like Jitsi, it doesn’t require you to sign up or download anything. But you can download iOS or Android apps if you need. Its main feature is video calling for which you need to create a “Room” link and share it with whoever you want to chat. You can customize settings to review who enters a room or lock it to prevent other people from joining you if they somehow found out your unique link. The free plan lets you create one room and make group calls with up to 4 people at a time. For more rooms and member limits, you will have to buy a pro plan. Other features include sharing screens, instant messaging, emojis, and stickers. 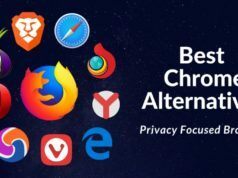 So these were some of the best Skype alternatives that I came across. 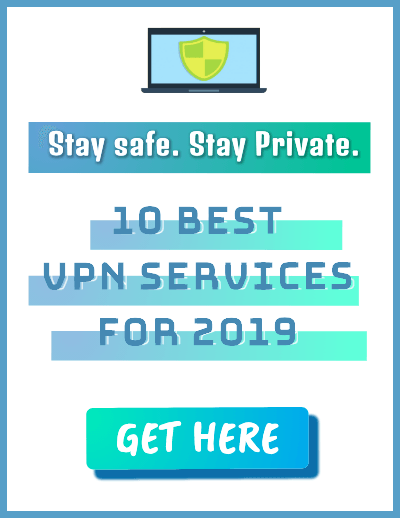 They have been listed on the basis of ease of use, privacy and specific purpose like — connecting with friends and family or business calls. Feel free to check out all of them and pick anyone that suits your requirements. Don’t forget to tell us which ones you liked the most, and in case you happen to know about a better alternative to Skype, do let us know in the comment box below!